Scores of local students will take a peek behind the scenes at Hull Royal Infirmary today as part of a large-scale NHS careers event. More than 70 students from Withernsea High, Trinity House School and St Mary’s Academy will walk through six individual scenarios designed to showcase NHS job roles which support people from birth through to end of life. Students will also don their scrubs to spend time in a mock theatre complete with high-tech simulation mannequin, and receive a motivational speech from local boxer and former WBC Silver International lightweight champion, Tommy Coyle. The event is being held for the second time after the 2015 Day in the Life event drew excellent feedback from students taking part, and helped many young people to choose their GCSE/ A level options based on their areas of career interest. Health managers are now hopeful the event will spark interest amongst the students again, and inspire a whole new generation of NHS staff. 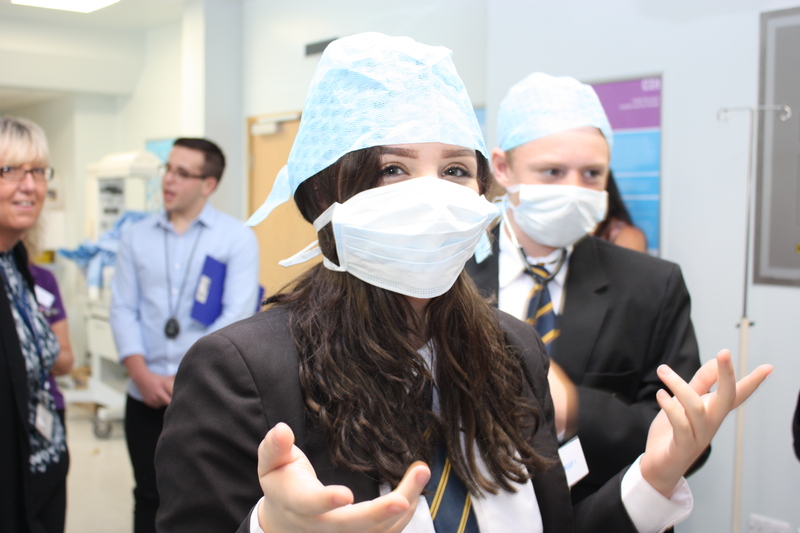 “A Day in the Life of the NHS’ is designed first and foremost to showcase the wide variety of NHS careers available and to help young people make the right academic choices based on the careers which are of interest to them. “Many people assume the NHS is just doctors and nurses, but there are literally hundreds of different job roles available, from pathologists to play specialists, psychologists to school nurses, and it’s some of these roles which we’re hoping to introduce students to on the day. In addition to scenario-based learning, students will be able to tour a lunchtime careers fair, where experienced careers staff will be on hand to discuss their options and point youngsters towards the most appropriate qualifications to suit their interests and abilities. Students will also be given the chance to try their hand at Giant Operation, and take part in a CPR competition which will recognise those students showing the best, potentially life-saving CPR technique. “It’s really important to us to be able to train and retain young people locally who have a passion for health, whether that’s direct patient care or supporting healthcare staff in other ways to deliver great care for local people.